The Baffin Tundra is an excellent, all-around and very warm winter boot for men. Like all Baffin’s, the Tundra has a durable rubber outsole. This keeps the lower part of the boot 100% waterproof and also allows for easy clean-up. Because of the rubber bottom, the Tundra is excellent for people who spend significant time wandering around in muddy conditions.. 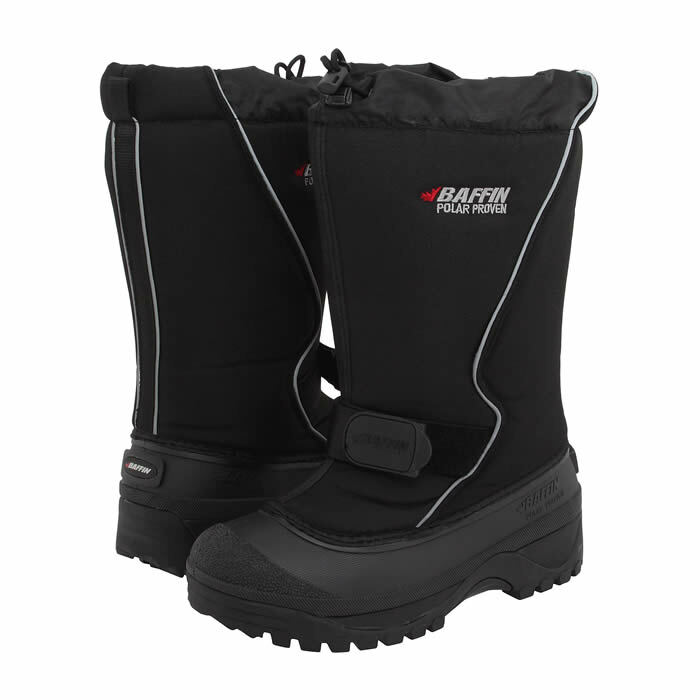 The Baffin Tundra Boot. More info & prices at Amazon. The insulating layer of the boot consists of 7 layers of Thermaplush. For those not familiar with it, Thermaplush is very warm with a very soft, almost velvety layer that lies against the foot. This makes the boot not just warm but also quite comfortable. The temperature rating of the Baffin Tundra is -40 degrees, which is warm enough for virtually all winter uses. Just be sure to wear the right winter sock to obtain the full temperature rating of the boot. If you need a warmer boot, consider the Baffin Shackleton, which is rated to -140 degrees and the boot of choice for Antarctic expeditions. The Tundra is a multi-purpose boot well suited for everything from shoveling the drive to construction work outdoors during winter weather to snowmobiling. While it lacks the real firm ankle support found in the Sorel Conquest, the Tundra still provides fairly good support—thus allowing it to be a pretty good hunting boot in deep snow conditions as well. The Baffin Tundra is widely available online, as well as offline in stores located in northern climates. Online, Amazon generally stocks the entire collection of sizes and colors. The Tundra is generally priced around $150, although Amazon often sells them for less. Other online retailers where the boot is often available include Shoes.Com and Zappos. Colors Available : The Tundra comes in various colors which change yearly. Weight : 2 lb 2 oz. Replaceable Liner? : Yes. Usually available through Cabela's. Sizes Available : 7 to 17, whole sizes. Versatile. An excellent all-around snow boot.